JONES COUNTY, MS (WDAM) - It was standing room only Thursday in a Jones County courtroom, but it was not for a dramatic trial. 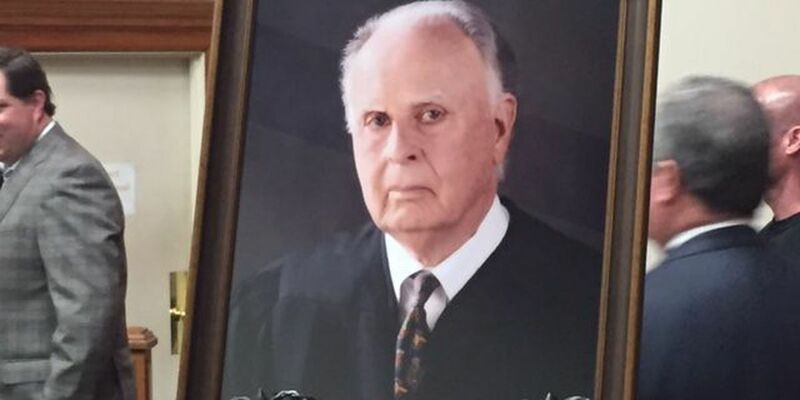 It was a ceremony held to celebrate the life and legacy of former Jones County Judge Billy Joe Landrum. Members of family, friends and community leaders from Jones County gathered in the courtroom for the event and recalled moments from Landrum's career that spanned over 40 years of service. There was prayer, special singing and the keynote speaker was Jones County Chancery Court Judge Frank McKenzie. "It made me feel wonderful, everybody likes to be appreciated, and I was honored and my heart was melted down pretty good," Landrum said. "I've served the public and I've been rewarded by them with all humility, and I've tried to be humble about all the good things that's happened to me." After the ceremony, a portrait of Landrum was revealed and was hung upon the wall joining other notable Jones County judges.